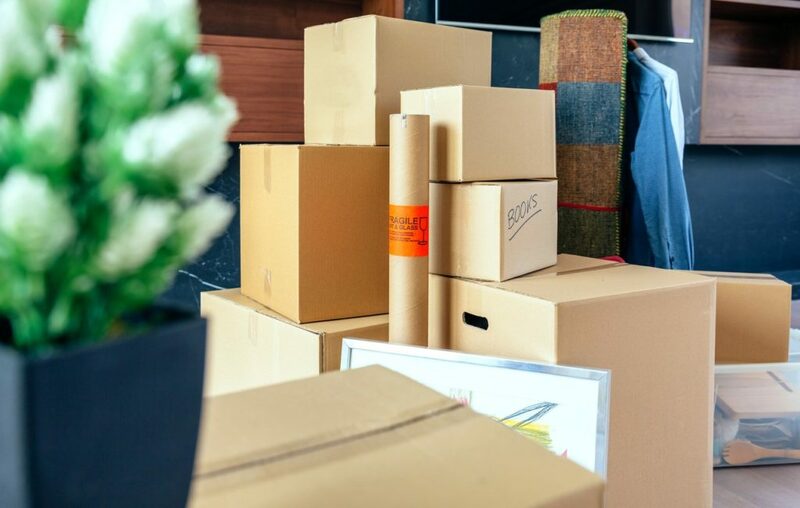 You’ve just bought a new house and now you must address the daunting task of moving all your belongings so that you can settle in to your new residence and make it your home. We have all heard horror stories about moving; from do-it-yourself nightmares that make moving seem like an insurmountable never-ending project to people having hired bad movers and having their belongings held hostage, badly damaged, or even worse. What can you do to make sure that your move process is as smooth and hassle free as possible? Start planning early to make sure that you are properly prepared when it comes time to make the move. Do as much organizing of your things in advance as possible to make the process of packing and unpacking simple and streamlined. 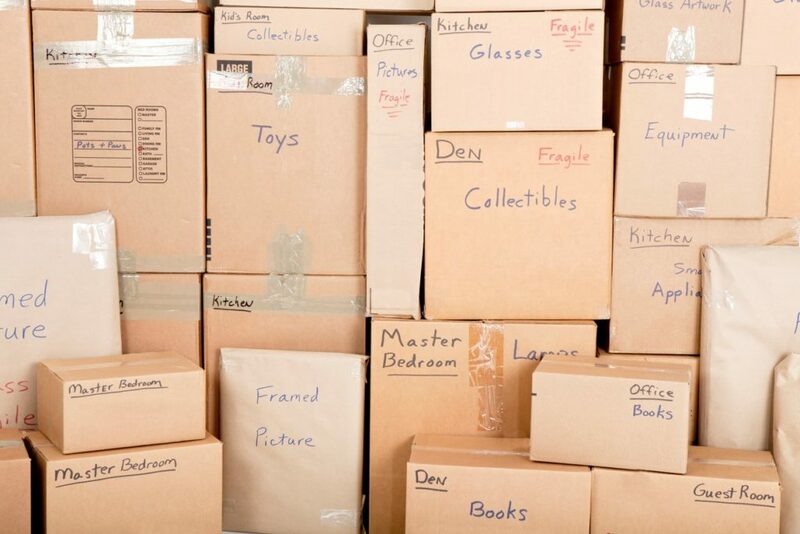 While planning your move is a great time to purge any items that are no longer used, wanted or needed. There is no sense in paying to move these unwanted items or in bringing unnecessary clutter into your new home. Research what your options are to accomplish your move and create a plan. Whether you are thinking of moving yourself or hiring a professional mover, you will want to have the details worked out before the last minute. In either case, make sure that you are partnering with the right service providers who will have your best interest in mind through the stressful process of relocating everything you own. Perhaps one of the first considerations you will make is deciding whether you will move yourself or hire professional movers. While, at first, it may seem more cost efficient to move yourself, it is a common mistake to compare truck rental prices to the prices of a professional mover. This is not a good “apples to apples” comparison as usually the prices given by professional movers include far more than just the truck. Often an estimate from a professional mover will include the truck, the fuel to run the truck, the boxes and other packaging materials necessary, as well as all the labor involved in boxing everything up, protecting the furniture and residence, and loading/unloading the truck. So, when deciding whether you will take your move on as a Do-It-Yourself (DIY) project or hire a professional mover, it is important to factor in all the ancillary costs such as fuel and packaging materials. And, don’t forget to consider the cost of the food, drinks and thank you gifts for the friends and family who give their time and effort to help you. Once you have added up these auxiliary costs involved in moving yourself, you may decide that the savings are not great enough to warrant the extra time and effort that will be required, and therefore, you decide to hire a professional moving company. Now that you have decided to hire a moving company, how can you narrow the field and make sure that you are dealing with legitimate companies who are honest and will handle your move with integrity? Ask for a referral. A great first step is to reach out to any friends or family you have who have recently moved. Ask them if they had a good experience, and if so, who they moved with. If you don’t know anyone else who has recently moved, your Realtor is also a great person to ask for a referral to a moving company. Chances are they know of at least one good professional mover. Search the internet. In the event you are unable to get any referrals, you can still find a great mover to work with through your own research. A great starting point for this would be the Federal Motor Carrier Safety Administrations (FMCSA) website. Here you will find a Glossary of terms, to familiarize yourself with the vocabulary of the shipping and transport industry. Understanding the vocabulary of the industry and the different business models of moving companies will make it a lot easier to make good decisions moving forward. The FMCSA website also outlines the rules that licensed carriers must abide by, and you can search any complaints against a company on the site. Verify credentials. Any mover which you are considering should be registered with US Department of Transportation (DOT) and should have a Motor Carrier (MC) and DOT number. Additionally, if you are considering a moving company based in Colorado they should be Licensed with the Colorado Public Utilities Commission (PUC) and have a PUC license number. You can look up a moving company’s PUC license number on the Colorado PUC website. These licenses are fundamental accreditations that indicate you are dealing with a legitimate moving company. Never hire a mover who does not have these licenses in place or one with expired licenses. It is also advisable not to hire a mover whose DOT or MC number is less than 3 years old. Written estimates. Beyond referrals and simple accreditations, there are some other elements to pay attention to as you start interacting with different moving companies. The way a moving company handles providing an estimate can be a great indicator as to the type of company you are dealing with. A professional mover will give you a written estimate, based on an in-home survey, at no charge. Verbal or ballpark estimates, estimates that seem too good to be true, estimates that do not contain the company’s name, address and identifying information, and estimates that require a fee to be paid are all red flags. You should also never hire a mover that will not give an estimate and simply says that charges are determined after loading. Physical Location. It is recommended to pick a moving company that has physical presence in the city you are moving from. This simple attribute will help to avoid moving scams and brokers, as well as allow you to further evaluate the mover’s validity. Moving companies are industrial in nature, so if a company’s address is in a residential neighborhood, that is another red flag. It also important to ask the necessary questions to be sure you are dealing with a full-service moving company, or at least one that has the necessary service offerings to fit your needs. It is better to be safe than sorry. So, make sure to do your research and check out your moving company before they load your belongings onto their truck! Remember that if something the mover is promising seems too good to be true, it probably is. Since you will be trusting the moving company with most all your worldly possessions, make sure to exercise due diligence in protecting yourself and hire a reputable moving company who will take good care of your belongings and look out for your best interest. For more tips on selecting a mover or to discuss your upcoming local or long-distance move, contact A-1 Freeman Moving Group today.